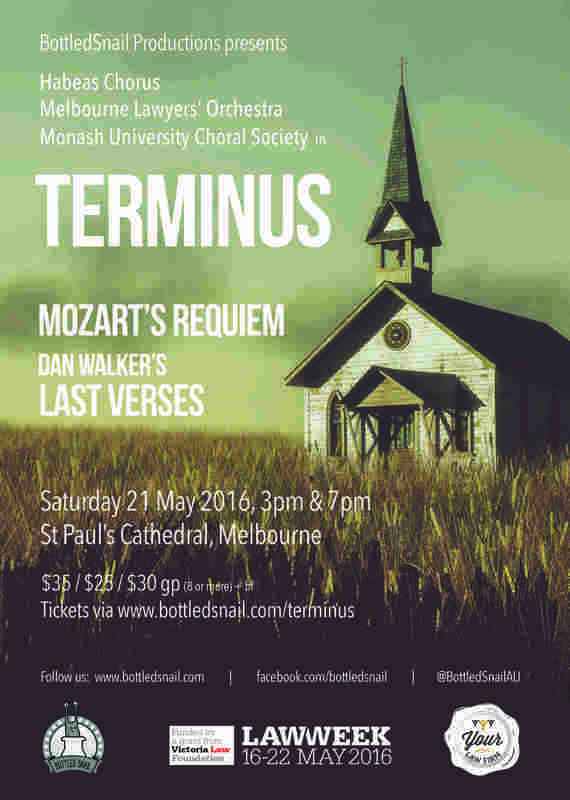 As part of Law Week 2016, BottledSnail Productions proudly presents Terminus in an epic collaboration between Habeas Chorus, Melbourne Lawyers’ Orchestra, and Monash University Choral Society. 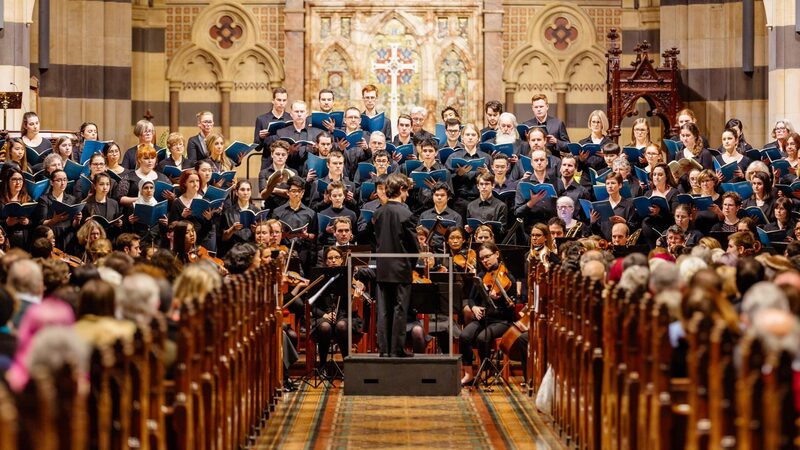 Hosted in the beautiful surrounds of St Paul’s Cathedral, Terminus features Mozart’s Requiem conducted by Robert Dora and the Melbourne premiere of Dan Walker’s Australian work Last Verses conducted by Dan Walker. Terminus is a celebration of life; rallying against the idea of death, but not necessarily the idea of dying. It is at times resigned, earnest and heartfelt, at others achingly poignant and hauntingly beautiful. Please ensure you select that you heard about this concert from the Monash University Choral Society! We look forward to seeing you at 3pm or 7pm on Saturday, 21 May 2016 at St Paul’s Cathedral.